The clemency process is a black box — one where hearings are rarely held and decisions are never really explained, making it nearly impossible to prove bias. Secrecy is a hallmark of the death penalty in Texas, where the state masks the identities of executioners and shields critical details about its controversial lethal drugs from public scrutiny. Texas’ process for deciding whether condemned prisoners deserve mercy is similarly opaque. It’s unclear, for example, why members of the Texas Board of Pardons and Paroles unanimously rejected Chris Young’s request for clemency ahead of his execution this week. Without explanation, the governor-appointed board ignored the chorus of advocates who urged officials to commute Young’s death sentence to life in prison. Those calling for a last-minute halt to his execution included the son of the San Antonio convenience store owner Young murdered during the 2004 robbery that landed him on death row. Lawyers for Young, who was black, suspect racial bias played a role in his execution Tuesday night, the eighth death sentence Texas has carried out so far this year. While clemency for death row convicts is exceedingly rare in Texas, Young’s lawyers point to the case of a white killer who was recently spared the ultimate punishment after the victim’s family pleaded for mercy. Young’s case is only the most recent to question whether racial bias affects how the death penalty is applied. While some historians call the modern death penalty an outgrowth of a system that stretches all the way back to lynch mobs, the courts have made challenging death sentences on racial grounds an uphill battle. That’s despite research showing black killers are more likely than whites to receive a death sentence, as are killers of any race whose victims are white. One recent study shows that in the 1990s, Harris County prosecutors sought the death penalty for African-American defendants more than three times as often than whites accused of similar crimes. It’s not systemic disparities but rather flagrant displays of bias that can sometimes goose the courts into stopping an execution. 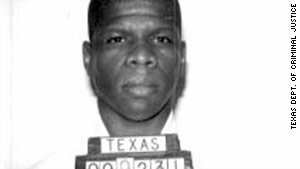 Last year, for instance, the U.S. Supreme Court blocked the execution of Duane Buck, a Houston man sentenced to death for a double murder in 1995. At issue was an expert psychologist who told jurors at the trial’s punishment phase that Buck was more likely to commit a violent crime in the future due to his race. Sam Spital, a lawyer with the NAACP Legal Defense and Education Fund team that represented Buck on appeal, said the bias in Buck’s case was only “extraordinary” because of how overt it was. How much subtlety will the courts tolerate? Lawyers challenging the death sentence of Andre Thomas, a Sherman man who murdered his family in 2004, argue his trial was tainted by jurors who vocally opposed interracial marriage. Thomas, who is black, killed his estranged white wife and her two children while in the throes of a psychotic episode. A panel of federal Fifth Circuit appeals court judges who heard the case in June has yet to make a ruling. Ahead of his execution this week, Young’s attorneys asked a different question — whether race plays a role in determining who on death row deserves mercy. In their last-minute legal filing, they referenced the case of Thomas Whitaker, a white man who had been sentenced to death for helping to plot and carry out the murder of his family in 2003. Whitaker’s father, who was wounded in the attack but survived, successfully pressured the parole board to recommend clemency. Last year, Governor Greg Abbott agreed and commuted Whitaker’s death sentence to life in prison. But the clemency process in Texas is a black box — one where hearings are rarely held and decisions are never really explained, which makes it nearly impossible to detect toxins that are deadly, even in small doses. Tuesday morning, hours before Young’s execution, federal district court Judge Keith Ellison rejected the request to delay. In his opinion, Ellison seemed frustrated by the case and sympathetic to Young, but wrote that his hands were tied. Ellison argued that it would be nearly impossible for Young to dig up enough dirt on the clemency process to meet the high bar for stalling an execution so late in the game (the board rejected clemency two business days before Young’s scheduled execution). “Those engaged in race discrimination seldom announce their motivations,” he wrote.